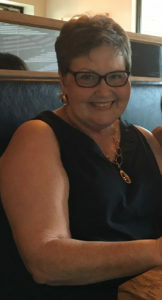 On Wednesday, November 25, 2014, we were completely blindsided by the news that I had Stage 4 Ovarian Cancer with two inoperable tumors in my pelvis. I won’t ever forget telling my daughters this news. I felt as though I was telling them that I was dying. We didn’t even know what some of the words meant that the doctor said about me. I wasn’t feeling well, but I never expected this diagnosis. I was faithful to have my annual well-woman check-ups. But I have since learned that pap smears do not detect ovarian cancer. You must have a vaginal probe! The only thing that sustained us as we faced this new battle in my life was our faith. I truly don’t know how anyone faces life-changing events without the hope found only in God. We all dealt with a myriad of emotions from fear to anger, but at the end of the day, we found strength together as a family in our faith in God. We didn’t know what the future held, but we knew who held the future. We listened to all the facts the doctors gave us, and then we found a promise in God’s Word that superseded the fact. We were careful to speak the promise over my body not the facts. My faith is so important to me. Our faith is what binds us together as a family. We are like-minded and put all our hope in God’s Word. These last three years have drawn us even closer as a family and definitely closer to God. I was surrounded by the love of my family. Either Greg or my girls were by my side all the time. They were always at the house taking care of me, getting me to any appointment, getting any meds that I needed (the chemo made me deathly ill,) taking care of meals. My little grandchildren were so careful around me. They understood that MawMaw had a bobo and they had to be gentle with me. I would close my eyes as I held them and remind God that those babies needed their MawMaw as they grew up. My husband Greg was amazing. He dropped everything to take care of me. He never left my side. I drew so much strength from him. Our church family immediately stepped in to provide food and meals for us. This went on for months. The prayers, cards, flowers, and visits from church friends deeply touched my heart. I can truly say that I never felt alone, even in the midnight hours, because I would get texts all through the night from friends. Probably my favorite Scriptures during this time have been 2 Kings chapter 4. It is the story of a Shunnamite woman who was blessed with a son. The son died, and the woman knew she had to get to the prophet Elisha for help. Her only response to anyone she came in contact with was, “All is well.” She was persistent with Elisha and he went to her house and prayed for the child and he came back to life. I did not know whether I would live or die, but I was able to say “All is well.” Bethel Music recorded the song “It Is Well” and I kept it on replay. My daughter Sarah also sang it in church many times. I can still feel the power of God in those lyrics. I was actually on two very strong medications during that chemo regiment. My chemo nurse told me that I would most probably lose my hair after the third treatment, so I began preparing myself for this happening. My daughters took me to the Miles Perret Center here in Lafayette and we tried on wigs and laughed a lot. My hair started coming out after the first treatment. This was a definite shock for me, and after my initial breakdown, I composed myself and called my stylist. She met me, along with my girls, at her shop one evening and she shaved my head. I put on a sassy little hat and that was that! I had a hat in every color with a matching flower to pin on the side. I made those hats look good! So much has happened since then. But to make a long story short, almost three years later, I am cancer free with lots of hair and a story to tell of God’s mercy and grace.